Private Mortgages Australia is able to assist with Development Finance. 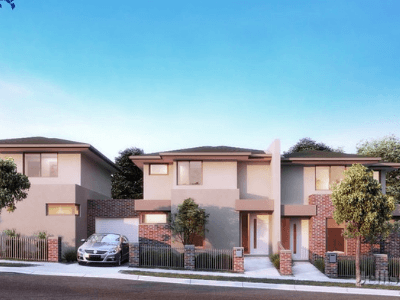 In the case, the Borrower was a family investment company that had entered into a construction contract with an independent builder to develop three town houses in Altona North, Victoria. The Registered First Mortgage used to settle the property was from a non-conforming lender who was unwilling to provide development finance because this was their first project. Furthermore, the Borrower had commenced the development paying the builder from their own resources. Private Mortgages Australia was engaged to provide development finance – an urgent Registered Second Mortgage construction loan for the balance of the project. The builder had walked off site and was not willing to do any further work until their outstanding invoice of $330,000 was paid. PMA arranged an “as-if-complete” valuation and a quantity surveyor to inspect the project. Once the reports checked out, the loan was advanced on a cost-to-complete basis where $65,000 was retained to pay the builder upon issue of the certificate of occupancy. The exit strategy was the sale of two townhouses and there were enough settlement proceeds to clear the Registered First Mortgage and PMA’s respective loan. The loan was repaid in full within two months.